Death Certificate is the greatest HipHop album ever. I know for the vast majority of readers, that first sentence, in particular that adjective, "greatest," sent you shuffling through your mental rap Rolodex to come up with countless examples of albums that more so deserve to be designated "the greatest." Illmatic, Enter the Wu, Nation of Millions, The Blueprint, Low End Theory, Blowout Comb, The Chronic, Aquemini, '93 Til, Soul Food, Criminal Minded, Straight Outta Compton, Funcrusher Plus, Paid in Full, Slim Shady LP, The Carter, Vol. Whatever, etc., etc. I fully understand the controversy involved in making such a declaration and realize there are bound to be the inevitable hordes of people who disagree with my assessment. That’s fine, because in the end I'm ready to go to the mattresses with the blogosphere or whomever in vigorous defense of this take. And make no mistake, I welcome the debate. But if you've come here to argue something stupid like, "You’re trippin', Silkk the Shocker's Made Men is the greatest HipHop album ever," click that back arrow now. What is the greatest, the best, the illest, the sickest, the freshest, the hottest, the baddest, the most crazy hype stupid dope album of all-time? It is and has been a perpetual topic of discussion in HipHop circles, at park jams, in school cafeterias, on street corners, basements, barbershops and message boards, and is most likely being discussed somewhere, in some language, right now. Typically these discussions are exclusively simple matters of personal preference insofar as there is no ultimately convincing way to win the argument that Ready to Die is better than Illmatic; Only Built 4 Cuban Linx is better than Nation of Millions; 36 Chambers is better than '93 'Til Infinity; Low End Theory is better than The Chronic, etc. etc. To an extent, this argument is similar. However, the case to be made for Death Certificate as HipHop's greatest album is one that relies less on opinion than any of the culture's other "greatest" discussions. Or perhaps a better way to say it is, this argument employs a combination of generally accepted HipHop opinions and incontrovertible facts. It's less a matter of convincing and more a matter of presenting a body of evidence so compelling that no other serious contenders emerge... or so it would seem. To be clear, this is not strictly a beats and rhymes argument because those always end up as never-endingly subjective comparisons of this or that use of phrasing, metaphor, drum pattern or sample. Which is actually better? Depends on your perspective. Need an example? How about this little warm up? And thus the problem with beats and rhymes arguments. It's a given that every HipHop album considered in the discussion of greatest albums features quality beats and rhymes — and anyone with a properly attuned HipHop ear recognizes those. 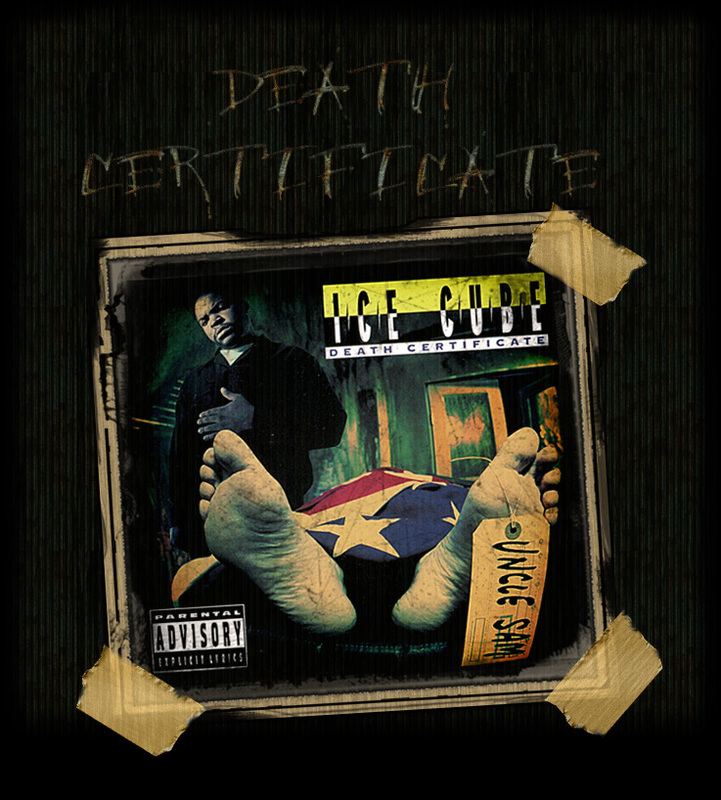 What sets Death Certificate apart are the collection of intangible qualities, in addition to quality beats and rhymes, that no other albums in the discussion possess. With that said .... let us begin.